Evan Peters and Taissa Farmiqa wear black, red and purple high top Converse All Star “Chuck Taylor” sneakers in the series. Tate huddled up in red chucks. The well known, much loved FX show American Horror Story is recognized for many factors, one of which is the extensive and detailed collection of costumes sported by the characters in all seasons. Though some seasons call for more complicated and dramatic costumes—“Freakshow,” for example—all seasons portray an array of costumes that are well thought out and supportive of each character’s personalities, no matter how subtle. In the first season of the series, entitled “Murder House,” two teenagers, Tate and Violet, both wear chucks quite frequently, emphasizing their youth as well as connecting them in the plot. Tate attempts to save Violet. In a show so caught up on psychological and physical terror, Tate Langdon (Evan Peters) is arguably a perfect embodiment of the show’s notion that such terror can exist all around us, and can be found in anyone. Tate, a ghostly inhabitant of the Murder House, is a quiet and intense character. He has a very grunge-like appearance, having been a teenager during the 1990s, and therefore the black high top chucks he wears work well with his overall appearance. His personality is calm and sensitive, though he can grow enraged and irrational when he or the ones he cares about most are threatened. Though he is aware that he is a ghost, he tries to keep the state of his existence secret from those he meets, most specifically Violet. 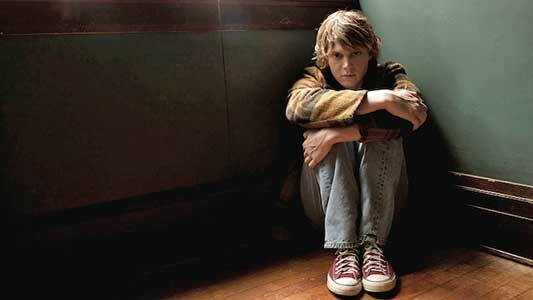 Tate develops strong feelings for her during the course of the first season. Violet Harmon (Taissa Farmiqa) is the oldest daughter of the Harmon family who moved into the Murder House in attempt to keep their family from crumbling. She is very sharp and sarcastic, but suffers from major clinical depression and possesses suicidal tendencies. Her connection with Tate—other than the fact that they both wear chucks—is grounded in her attraction to the darker, more twisted aspects of her surroundings and of life itself. 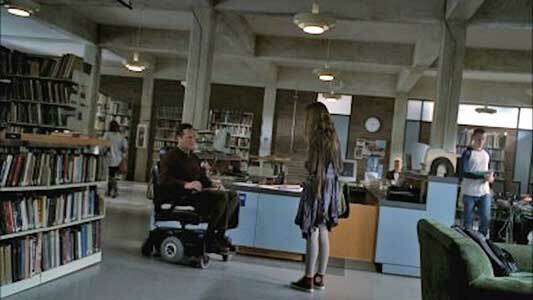 Violet eventually joins Tate as a ghost herself, but breaks off their intimacy upon learning of all the crimes he has committed, especially the Westfield High School massacre. Despite her dark, isolated tendencies, she expresses compassion towards her family and lives happily with the rest of them as ghosts at the end of the season. Throughout the season, Violet inhabits a space that overlaps both the youthful, socially focused sphere of high school as well as the perverted, deadly world of the Murder House. From her ghostly complexion down to the faded chucks on her feet, she, as well as Tate, are characters that possess worldly and unworldly characteristics, and exist as walking reminders of how nothing and no one are ever truly what they seem. Violet speaks with the school librarian about the Westfield High massacre.